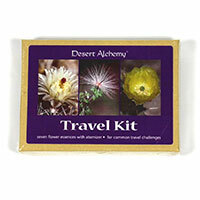 Kit with seven flower essences for common travel concerns. Includes a travel-size atomizer. This composite has been formulated for recognizing, clearing and releasing energies taken on from the environment or from others. It also activates our naturally protective energies.